Bristol born, Ian Clark, joins the All Golds ahead of the 2015 League 1 season with an extensive CV in rugby union. 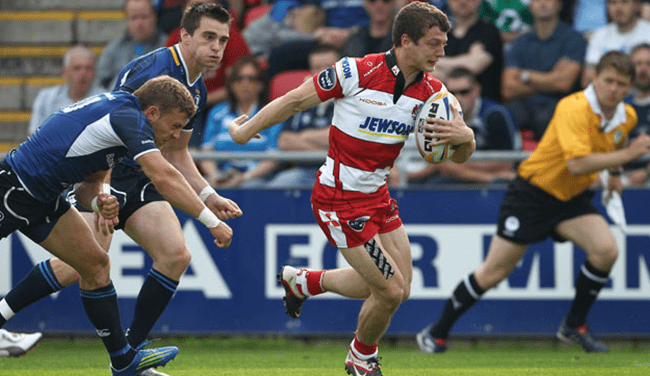 As a youngster he made a name for himself on the AASE programme at Hartpury College before going on to earn Premiership Rugby Union experience and a number of appearances for the ‘Cherry and Whites’ in the LV cup and Premiership 7s circuit. Hi Ian, thanks for coming to speak with us. Can you tell us a little bit about yourself and your rugby career? Great, so how did you find Rugby League? You have now played your first match and have settled into the squad. What do you think about the sport of Rugby League? You have started training with the squad, how is it looking for 2015? You say that 2015 will be a successful season, what does success look like to you?